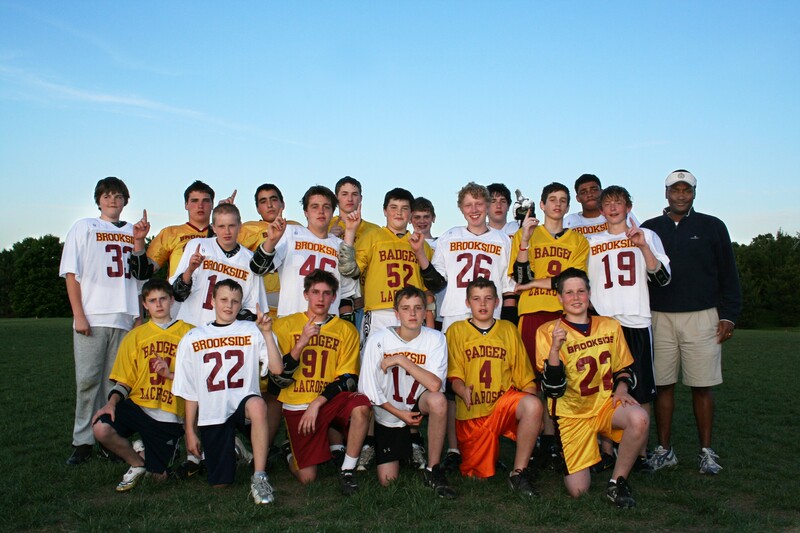 Brookside-Hannon and Prairie Village-Ross provided the KCYLL with its second consecutive thriller in a 7th/8th championship game. As you may recall, last year’s winner Brookside-McLaughlin was taken to overtime by St. Paul’s before Charlie Farber buried the game winner a few minutes into the OT. This year was also a squeaker as Brookside’s Teddy Crites and Prairie Village’s Ben Sight put on a display of offensive firepower. The score was knotted at 7 with less than 2 minutes remaining when Brookside tallied the go ahead goal. After the ensuing face off, Prairie Village was called for offsides and Brookside maintained possession to seal the 8-7 victory. Ben Sight and Teddy Crites each recorded four goals on the day while Prairie Village's Connor McGannon recorded 2 goals and comanded much of Brookside's defensive attention. Andrew Dakan recorded 10 saves in goal for Brookside which proved to be crucial in this tooth and nail battle. Clubs participating in 2009 were Brookside, Johnson County, Northland, Olathe, Pembroke Hill School, Prairie Village and St. Paul's Episcopal Day School.